AstroSage Magazine: Who will Win Champions Trophy 2013? Much awaited tournament series ICC Champions Trophy 2013 is about to begin soon and will be watched world over enthusiastically by all cricket fans. All are interested in knowing the winners of each game and for Astrologers also it is a good time to test their skills. I am using Horary branch of Astrology and a system which is mix of traditional Astrology, KP and Numerology. The system used is quite similar to the one taught by Lt. Shree Suresh Sahasne. Since, planet Mercury is coming in the ruling planets, so we will have to take two choices, as clearly explained by Lt. Shree Suresh Sahasne Ji. So, we will now choose the best two options for the winner of the Trophy. Of course, anyone of them will be the winner and other could end up as runner up also. The total of the numbers is = 30. 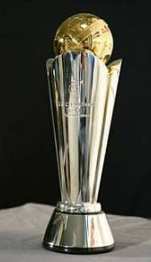 As per my opinion based on this system, South Africa and India are the two possible winners of ICC Champions Trophy 2013. As the rule says we have to choose one, it seems South Africa has stronger possibility of winning the title. sir today who is the win plz reply ?????? Aacharya raman ji please start your prediction on daily champions trophy matches. Interesting. Let us see how accurate your prediction is. Dear all ,INDIA won which I had told almost a month back.The system I USED had it that I give two choices due to the fact that there was a dual ascendant rising of mercury.Since RSA was removed then The other option left was INDIA only .KP HORARY provides very accurate results when used with clean mind and dedication towards almighty is all i want to say.regds .